Dan Minnicks is a Pittsburgh native who grew up playing many sports before committing to hockey. He discovered Umberger Performance as an athlete while pursuing his hockey career. When he was ready to move on from hockey, he transitioned from client to trainer. 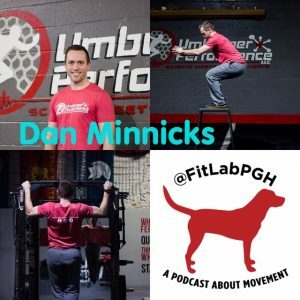 As a physical preparation coach, personal trainer, and group fitness instructor at Umberger Performance in Robinson Township (Pittsburgh area), he works with a wide range of clientele, from students looking to improve in a particular sport to adults who want to move better. John Rossmiller was born in Pittsburgh and served seven years in the Army with 75th Ranger Regiment and deploying 4 times, before being medically retired. He is NSCA-CSCS, NASM-PES and NASE-SES certified, along with numerous other skill specific certifications. He served as a Human Performance Optimization Coach part of his time as a Ranger under the RAW (Ranger Athlete Warrior) program. Prior to his military service he was a performance coach for 6 years, played indoor football and FCS football for Colgate University. He also has an MBA from University of Pittsburgh. Look for the opening of ALTUS-HPO in downtown Pittsburgh in late January or early February 2019. 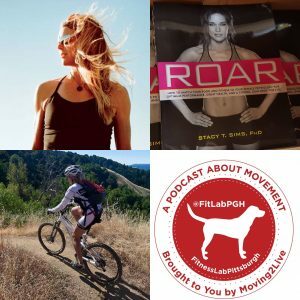 FitLabPGH has a sister podcast- Moving2Live. 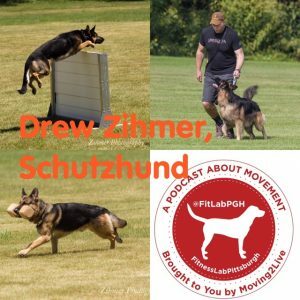 This week we bring you an episode from Moving2Live that should be of interest. It is a little longer than most of our podcasts, but we think you will like listening to Don Moxley, Director of Applied Science and Brand Development at Grow Healthy in North Palm Beach, FL. 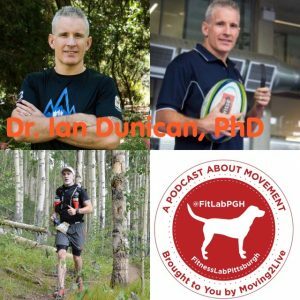 Don (in his own words): over 30 years experience of improving the performance or alleviating the unnecessary suffering of humans, or teaching others how to do the same. Experienced leader, Highly skilled sports scientist with over 30 years experience in elite sport. Understanding the central nervous system and how to measure individuals’ status led me to explore the different modalities used to adjust or “tune” the autonomic system. I’m currently exploring how cannabinoids can play a part in human performance and reducing human suffering. I am an exercise physiologist who specializes in fitness/athletic assessment, player training and performance optimization. My expertise includes extensive use of wearable technology for assessment. I am experienced using Omegawave, Firstbeat, Polar, Mio, Heartmath, Zephyr, Velotron, Halo as well as many other tools. My last 3 years have been focused on supporting the Ohio State University Wrestling Team. Prior experience includes working as an Asst. Professor and Coordinator of the Exercise Science program at Urbana University. Owner of Lemonade Neighborhood Fitness. Founder and CEO of ViA Performance Systems. I’ve worked as the Director of Sales for Polar Electro and coached at The Ohio State University. Additionally, I have directed training programs for Olympic Medalists, NCAA All-Americans, professionals, fitness clubs, physical education programs and sports organizations across the continent. I wrestled for The Ohio State University where I captained the team and earned a Big 10 Championship in 1985. I like to keep myself in the classroom teaching physiology, kinesiology, exercise physiology and nutrition courses at local colleges. My daughter Jaclen is a member of the Ohio State University Lacrosse Team, her mother and I are very proud of her and the growth mindset that nurtures her growth. 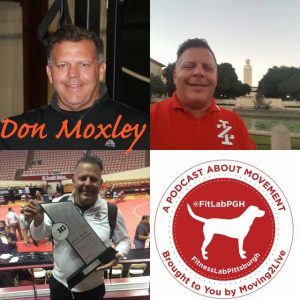 Don Moxley was a guest on the Moving2Live Podcast in April 2018. Check out his earlier episodes (released 4/4/18 and 4/18/18). Nutraceutical Definition – A Nutraceutical is a pharmaceutical-grade and standardized nutrient. In the US, “nutraceuticals” do not exist as a regulatory category; they are regulated as dietary supplements and food additives by the FDA under the authority of the Federal Food, Drug, and Cosmetic Act. 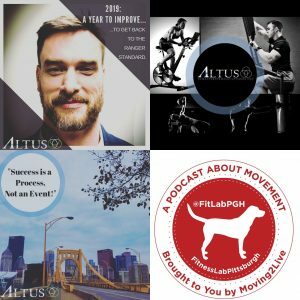 Periodically FitLabPGH reposts past interviews. We want to make sure that great info doesn’t get lost in the “pod clog”, which can occur with so many podcasts and so many episodes. 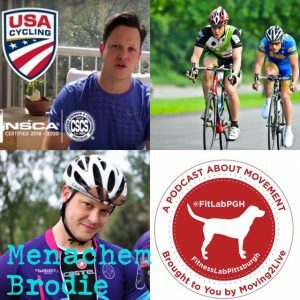 Menachem Brodie is the owner of Human Vortex Training; based in Tel Aviv, Israel, Coach Brodie works with athletes around the world, including: Pittsburgh, France, Belgium, and Israel. Coach Brodie (in his own words): Coaching since 2000, Menachem Brodie has been working with athletes in a number of settings, and a broad variety of sports. From Basketball and Cycling, to CrossFit and Triathlon, Brodie has helped numerous athletes to attain their goals, and beyond. Pittsburgher Highland Farm (in their own words) is the realization of a dream to produce quality cattle in a sustainable environment and provide healthy and tasty beef to discriminating consumers at an affordable price. After a lengthy career in real estate and community development, owner Mark Smith, went back to his dairy farm roots and began to experiment with Scottish Highland cattle on rented pasture. He is continually working to implement a natural farming system that is both humane and environmentally responsible. Smith partnered with Dana O’Connor in 2014 and together they have more than tripled the size of the operation, further fulfilling the mission of providing healthy, environmentally sustainable beef at an affordable price. Dana’s interest in grass fed beef grew from an interest in health and wellness and the ability of quality, nutrient dense diet to create health. She has completed a nutritional therapy certification in order to further her knowledge and understanding of the intersection of food and health. She also serves as the chapter leader of the local Weston A Price Foundation. 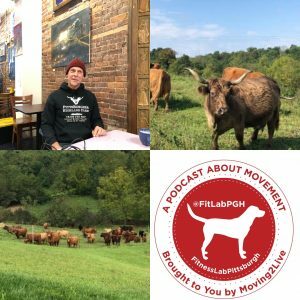 Pittsburgher Highland Farm is located near Mount Pleasant in the lush grassy foothills of the Laurel Highlands with a distribution warehouse in Wilkinsburg, an eastern Pittsburgh neighborhood. The farm adheres strictly to USDA standards for organic, grass-fed, naturally raised, and humanely treated livestock, as well as Quality Highland Beef protocols developed by the American Highland Cattle Association. Ed Shvarts, Owner, Vilka Bistro in Bethel Park (South Hills of Pittsburgh) has been in the restaurant industry all of his life. He grew up in New York City, attended school in New York and Baltimore, and lived in many places in his career, including Florida and Atlanta, GA. In 2005, he moved to Pittsburgh; he has family here and thinks it’s a great place to raise a family. Before opening Vilka Bistro on December 6, 2017, he owned several other restaurant concepts. 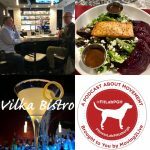 Vilka Bistro is upscale, yet casual, blending a little bit of South Beach, NYC, and Los Angeles right in the heart of Bethel Park at the Millennium Shops. The menu features fresh, high quality, made-to-order food, at a reasonable price. He believes in taking care of his staff and giving back to the community. For more information on Vilka Bistro, connect with them using the links below…or better yet, go in and try the restaurant! 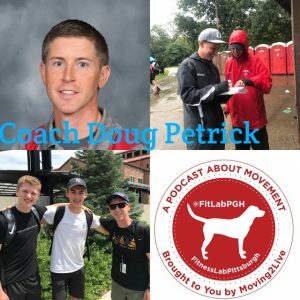 Doug Petrick (in his own words): I am a high school cross country and track and field coach at Upper St. Clair High School. I’ve coached for over a decade here. Additionally, I am a physics teacher at Upper St. Clair High School. This is my 17th year teaching in this district. I am married to Kinley and have three young children Kaia, Kenzie, and Declan. I try to stay active and love running. During the week I try and get in 4 days of running, 1 day of cross training, 1 day of walking, and 1 day off. I also create content for The Wiley Network for blogposts and podcasts for educators. Often I will tie in the athletics/academics link in the content. 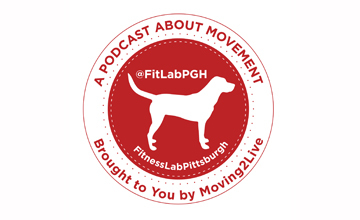 Check out the episodes of our sister Podcast Moving2Live featuring Daniel Caulfield, released 9/11/18 and 9/26/18.